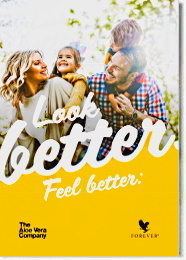 Forever Arctic Sea is a unique blend, exclusive from Forever Living, that provides the extra DHA we need per day, in order to create balance between DHA and EPA, i.e. nutritionally balanced diet, for optimal health and wellness. Custom Omega-3 ratio to mimic a diet rich in seafood. All-natural citrus flavor for a pleasant aroma and minimal fishy flavor. Ocean friendly and responsibly sourced. Pure source of EPA and DHA. This blend creates the perfect balance of DHA or Docosahexaenoic acid and EPA or Eicosapentaenoic acid . There is an important balance that most people do not fully understand when it comes to Omegas. Historically, nutritionally balanced diets contained a healthy ratio of Omegas as 1:1 up to 1:4 DHA:EPA. Unfortunately, many diets include unhealthy levels of Omega-6 which are traditionally derived from fried foods, vegetable oils, fake butter products, grain-fed animal fat and other modern convenience and processed foods. In addition, many diets are low in fish and Omega-3 consumption, which creates an unhealthy ratio of Omega-6:Omega-3 as high as 30:1! Omega-3 is naturally found throughout the body and is most abundant in the brain, eyes and heart. Just as calcium is essential for building strong bones, DHA ensures that the cells in the brain, retina, heart and other parts of the nervous system develop and function properly through all stages of life. Additionally, DHA intake has been associated with a decreased risk of mental decline associated with aging. No other fatty acid demonstrates this relationship. The key to getting back to a healthy ratio of DHA:EPA is increasing Omega-3 consumption and reducing Omega-6 intake. 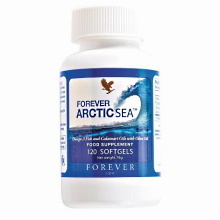 Forever Arctic Sea provides this extra amount of Omega-3 and DHA per dose. 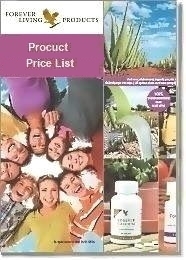 Take 2 softgels Forever Arctic Sea with meals three times daily as a dietary supplement. Watch this short video about why Forever Arctic Sea is essential.